The recent pullout by Niagara Bottling from a planned $53-million drinking water bottling operation didn’t help. Nor does an Ulster County population that has lost some 2,000 residents since 2010, with a current estimated population of 180,445. But that very IBM site — on the brink of passing its final environmental remediation milestone — is getting into position to slake the economic thirst of the region. Early this month, the site’s owner TechCity Properties, which acquired the property in February 1998 from IBM, engaged Alvarez & Marsal Real Estate Advisory Services (A&M) to begin a process that will result in the sale of all or part of the 258-acre property, which contains 1.7 million sq. ft. of existing space and has the potential for millions of square feet of additional development. “This sale represents a unique opportunity to acquire office and manufacturing buildings at a significant discount to replacement value, as well as developable land in a magnificent setting with views of the Catskill Mountains and Esopus Creek, near the historic towns of Woodstock, Rhinebeck and Kingston, New York,” said Jerry Pietroforte, who heads the A&M team. In addition to its own road network and CSX rail link, the site has a large freshwater supply for cooling; ample supply and access for gas and electrical service (“sufficient for data centers and back-up generators” A&M notes); access to a diverse fiber-optic network; and even an on-site helipad. Given the size of the property and scale of the contamination, he says there’s usually ample opportunity for things to go off the rails for one reason or another. “This was one of their most important sites on the globe,” he says, where mainframe computer testing, and before that electric typewriter manufacturing, had taken place for years, and an enormous infrastructure had been built up to support hundreds of millions of dollars worth of equipment. At its height of activity, some 7,100 people worked there round the clock, inventing such things as the FAA’s air traffic control system and the SABRE airline reservation system. Of the way the company dealt with environmental issues on site, Ginsberg says, “IBM, because they’re a standup company, only knows one way to do things, the right way. This is one of the most dignified, professional, reputable companies in the world — I have so much respect for them,” says Ginsberg. For his part, Quigley says it’s time to see the campus broken apart. “As I look at it today, it’s configured as a single-user facility, which is not ideal for redevelopment,” he says, noting, among other challenges, a massive centralized utility plant designed to provide IBM low-cost heat and power. He likens the outdated configuration to the hundreds of regional malls gasping for breath across the country. Their locations remain prime, but their physical attributes need a complete overhaul to reflect today’s technology and workforce environment. For example, all the corridors at the IBM site are on the outside, befitting the single-user corporate ethos of days gone by — “No one gets a window office,” says Quigley — but not the ethos of today’s rental market, where users will pay a premium for window offices. That said, the entire property — a participant in partnership with Ulster Community College in the Start-Up-NY program — is available to a single end user with a vision. 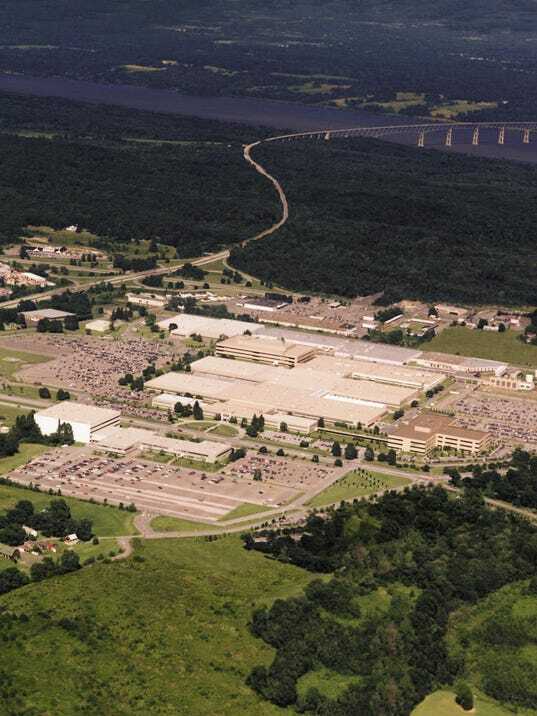 There’s certainly precedent for such a mega-investor in the state: Just visit GlobalFoundries’ manufacturing campus in Malta, N.Y.
“We’ve done a lot of the heavy lifting,” says Ginsberg. “It’s a beautiful environment. The setting is spectacular, with water and mountains. And it’s all flat — 90 percent of the site is developable, which is extraordinary. LAKE KATRINE – The sprawling former IBM Corp. plant here, known as TechCity since 1998 when it was bought by a developer, is for sale again. Alan Ginsberg, who bought the site and has worked on developing it as a business center, announced today, Wednesday, that he has hired a company to find a buyer for all or part of it. Filling up the space has often proved a challenge, as the complex was built by IBM for making computers in an era when those machines occupied much space and required extensive buildings to handle their manufacture, assembly and testing. IBM has continuing responsibility for chemical contamination at the site. Ginsberg, whose activities in realty had been largely in the New York City metropolitan area, came to Ulster County seeking IBM’s surplus property and seeing it as a multi-tenant high-tech site. There have been some successes, including some more traditional forms of manufacturing or business use. “Having devoted a significant portion of my life and a considerable amount of my personal resources to making TechCity a success, I am now hopeful that it will attract the interest of developers who see it as an asset with great potential,” he said. 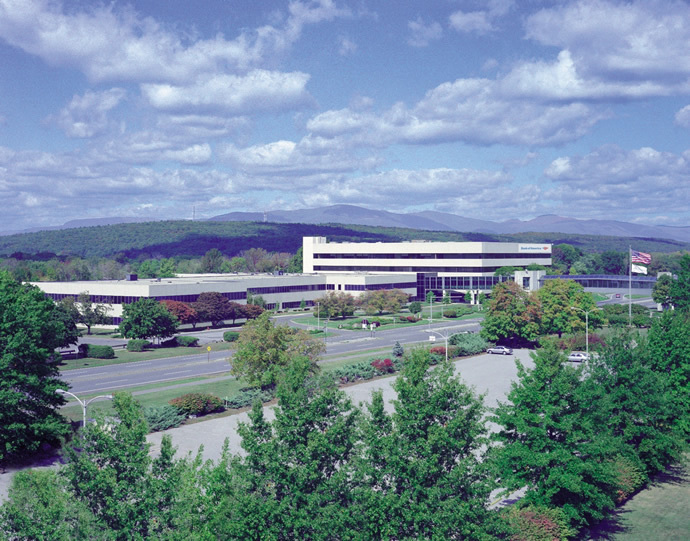 IBM built the site in the 1950s and expanded it, but changing times led IBM to move operations to Poughkeepsie, which was the main site for making large computers, and to empty out the Kingston property. By 1995, IBM closed down the site and began looking for a buyer. As many as 7,000 IBMers worked at the plant in its heyday. KINGSTON, N.Y.–(BUSINESS WIRE)–TechCity Properties has engaged Alvarez & Marsal Real Estate Advisory Services (A&M) to begin a process that will result in the sale of all or part of the 258-acre property. The site contains 1.7 million square feet of existing space and has the potential for millions of square feet of additional development. TechCity CEO Alan Ginsberg said: “We have seen some notable achievements since we took ownership in 1998. We have attracted a number of businesses, obtained approval for a new master plan and, through our marketing, told a positive story about the region to countless people around the world. I am also pleased to be able to say that the completion of IBM’s environmental remediation efforts is now within sight – perhaps less than a year away. Access to a diverse fiber optic network. Magnificent views in the midst of the scenic Hudson River Valley. Located within a community that is known as a center for art, music and culture, with affordable housing stock and numerous nearby educational institutions, the property has an approved master plan that would allow for its use in office, manufacturing, distribution, R&D, and a variety of recreational uses. It is also a participant, in partnership with Ulster Community College, in New York State’s “Start-Up New York” program. Because the property is being offered for sale in whole or in part, there are a variety of possible scenarios, ranging from an individual owner with a vision for the entire site to a small business that sees an opportunity to relocate and grow by purchasing an individual building in this cost-effective location. Alvarez & Marsal is a leading global professional services firm that delivers performance improvement, turnaround management and business advisory services. A&M Real Estate Advisory Services has more than 60 dedicated real estate professionals in nine offices in the U.S. and Europe. It provides innovative, action-oriented and results-driven services to owners, investors, lenders, managers and occupiers of real estate. 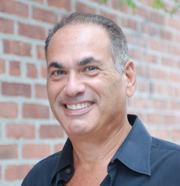 The A&M team is being led by Managing Director Jerry Pietroforte, who has more than 30 years of real estate and capital markets experience and specializes in restructuring, strategic planning and transactional execution. He has served as a lawyer, banker, financial advisory and principal. He has evaluated real estate equity and debt matters in excess of $100 billion and he has structured purchases and sales of numerous real estate assets. Town of Ulster—(July 1st, 2014) Five new tenants have signed leases totaling more than 17,000 square feet at TechCity, including Hudson Valley Harvest, which will occupy 9,000 square feet in 72 Boices Lane, and Visual Color Systems, which will occupy 4,000 square feet in 74 Boices Lane. Hudson Valley Harvest was created in 2011 to improve access to the bounty of the Hudson Valley. The company works with farms to provide local, traceable, transparent food of the highest quality to the Tri-State area. Its network of independently owned local farms produces some of the most delicious, highest quality local food found anywhere, which Hudson Valley Harvest, makes available to consumers reliably and conveniently. Among Hudson Valley Harvest’s new neighbors will be Farm to Table Co-Packers, which has been located at TechCity since 2009 and which now occupies 34,000 square feet. Farm to Table is a full service contract packaging facility that produces everything from frozen vegetables and soups to jarred pickles and sauces. Farm to Table provides superior service throughout the entire co-packing experience, while producing the highest qualities products for its clients. It operates a 29,000 square foot kitchen, a dedicated processing line, a full bakery and an incubator/test kitchen. TechCity management believes that the location of these two agricultural and food products companies represents the beginning of an industry cluster at the site, which has ample ability in an adjacent building to provide the services – production, warehouse and distribution, refrigeration, ease of shipping and receiving – that companies in that sector require. Visual Color Systems, Inc. is an independent company dedicated to helping its customers select, specify, communicate, and control color. It brings to this field over 30 years of experience working in all aspects of color communications, including hands-on color matching, process control, product development, sales and management. The company has helped to create color control programs for food products, computer systems, office furniture, cosmetic packaging, automotive applications, medical instruments, and many more diverse applications. – Scrub Masters Plus Corp, a cleaning service, to be located in 505 Enterprise Drive. TechCity, located in the scenic Hudson Valley, 90-minutes from New York City and 60-minutes from Albany, offers a number of benefits to companies that locate there, including: possible inclusion in the Start-Up NY program, through a partnership with Ulster Community College, for companies that qualify; industrial grade infrastructure, including lit and dark fiber communication trunks, two major electrical power providers and ample water supply; and proximity and ease of access, by rail, road and air to markets from the mid-Atlantic to Canada. Cushman and Wakefield/Pyramid Brokerage Company serves as TechCity’s broker. 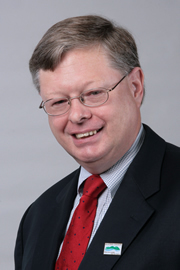 Stephen Perfit, Senior Executive Director of Pyramid’s Hudson Valley Office in Newburgh, can be reached at (845) 522-5900 or sperfit@pyramidbrokerage.com. TOWN OF ULSTER >> Ulster County Community College is one of eight schools in the SUNY system selected to participate in Start-Up NY, a tax-exempt economic development program designed to link colleges in the state with businesses. UCCC will use 168,000 square feet in a building at TechCity in the town of Ulster to train students for careers, college president Donald Katt said on Tuesday. “I’ve been meeting with prospective business partners,” Katt said in a phone interview. “I’ve met with about a dozen, and I think two of them are really ready to go, and we’re setting up a meeting for the first person who has submitted an application to us to become a partner. Katt did not identify any of the prospective business partners. The program, unveiled last year by Gov. Andrew Cuomo, provides participating businesses with exemptions from state business taxes, sales taxes and personal income taxes. Katt said the relationship between UCCC students and business owners can include paid and unpaid internships, business assistance for students and company representatives visit classes. “That will be a huge advantage to our students to actually spend time in the business in whatever area the business might be operating in,” he said. Katt the program also gives business owners incentives to address areas that need employment growth. TechCity officials could not be reached for comment on Tuesday, but property owner Alan Ginsberg, in a press release, spoke highly of the Start-Up New York program and UCCC’s participation. TechCity, which was an IBM plant from the 1950s until the mid-1990s, has contaminations problems left by the computer giant, but a map included with a state Department of Environmental Conservation cleanup order shows no problems related to the property’s Building 052, which UCCC is to use for the Start-Up NY program. The building is at the northeast corner of the sprawling TechCity campus. Ginsberg bought the property from IBM in 1998, 20 years after IBM discovered the contamination. IBM is responsible for the cleanup. Katt said he is confident that contamination issues have been addressed by the Department of Environmental Conservation. “The seem to have a remediation plan that’s much better and faster than what IBM had been proposing,” he said. TechCity Properties, of the town of Ulster, N,Y., has appointed Roger Osterhoudt, of Saugerties, N.Y., as vice president of property management and Gregory Strong, of Beacon, N.Y., as vice president of administration. Osterhoudt has a background in construction, management and manufacturing and has been facilities manager at TechCity for the past four years. Prior to that, he held positions with J. Mullen and Sons Construction in Saugerties. In his new position, he will manage property operations, leasing, maintenance and security and coordinate with contractors to meet the needs of current and future tenants. Strong has a background in property management and has worked in lease administration and general bookkeeping at TechCity for the past four years. Prior to that, he held a series of positions with Miron Building Products of Kingston, N.Y. In his new position, he will participate in long-range planning, human resources activities and various other administrative and management functions. KINGSTON, N.Y. (June 17, 2013) – The New York State Department of Environmental Conservation (NYSDEC) has issued “No Action” and “No Further Action” declarations for TechCity in Kingston that clear the way for new ways to develop the site in the future. In the DEC’s Final Statement of Basis, it deemed the corrective measures taken by IBM and TechCity to be “protective of human health and the environment.” The Final Statement of Basis included responses submitted during a public comment period from February 28 to March 29. The TechCity site is a former IBM plant. Ginsberg said the site’s master plan has been approved to host universities, colleges, retail, office and industrial uses. Business leaders from across the region expressed enthusiasm about the DEC pronouncements and believe TechCity can help promote much-needed economic development. TechCity Properties, the Hudson Valley’s premier commercial real estate redevelopment site, together with Time Warner Cable Business Class, recently announced the companies have completed a project that brings an advanced communications fiber network to the 258-acre, 2.2 million square-foot TechCity complex. KingstonNOW, a locally produced TV news program, recently featured TechCity and all that is happening at the Hudson Valley’s leading commercial real estate site. Sales and Marketing Director Paul Rakov gave his thoughts on why TechCity has been successful attracting solar panel manufacturing, solar thermal technology, leading-edge technology manufacturing, sustainable food production and other innovative industries. Check it out! The Ulster Town Board on Thursday approved a new zoning designation for TechCity, allowing the former IBM-Kingston complex to expedite changes on its 138.4-acre east campus. The board, by a unanimous vote, granted the request for a Redevelopment Overlay District to replace an Office Manufacturing District zone for the property. Town Supervisor James Quigley said the change was needed to help TechCity secure new businesses for the site. “For the most part, as long as they stay within the major concept set forth in the environmental impact statement, they can go comfortably and confidently to either a new tenant or a prospective buyer … to construct (buildings) within the envelope that we’ve defined and be reasonably comfortable they’re going to get efficient and fast town approvals,” Quigley said. Under the proposed redevelopment plan, about 290,000 square feet of obsolete office space would be demolished; two buildings comprising 558,000 square feet would be reconfigured for interior parking facilities; 1.3 million square feet of existing office space would continue in use, and new construction would add about 645,000 square feet.